Ladies ruby and diamond oval shaped stud earrings of classic styling. 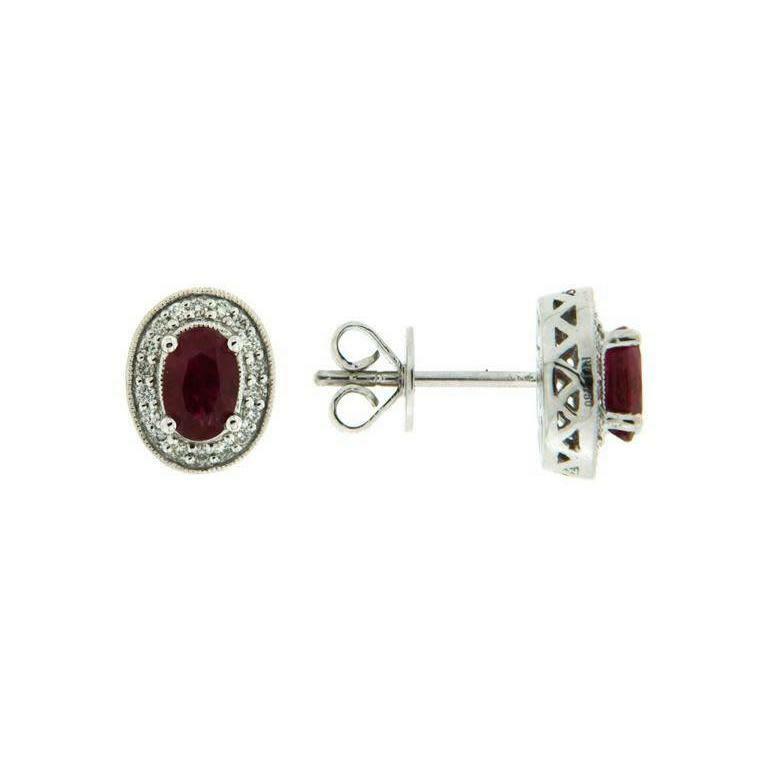 The earrings are set with two genuine, oval cut rubies at center. These rubies are surrounded by a halo of round brilliant cut diamonds that are micro pave set. The side profile of the earrings is comprised of filigree detail. The earrings secure with post and butterfly backings.